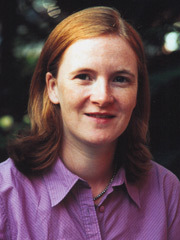 Jane Southworth’s research world extends from Meso-America (Yucatan, Honduras, Guatemala) and South America (Peru, Bolivia, Brazil) to Africa (Uganda, Tanzania) and Asia (Thailand, Cambodia). Her research interests are based on the study of human-environmental interactions within the field of Land Change Science, more specifically, remote sensing of land use; land cover change and land change modeling; the implications of scale and scaling in remote sensing and modeling analyses; people and parks; and modeling of the impacts of climate change on agricultural and forest ecosystems, especially changes in climate variability on plant-environment interactions. “I work in interdisciplinary research teams to address issues larger than an individual can manage within the arena of Land Change Science. Theoretical issues relating to resilience, vulnerability and sustainability are major foci. In addition, I deal with the development and application of new methodologies within these emerging fields,” Southworth explains. Her current research includes examination of the interactions among land use, land cover, people’s livelihoods and biodiversity in landscapes surrounding national parks in Tanzania, Uganda, Botswana and Namibia. She is also analyzing the interacting social, economic and ecological processes that have affected economic growth, the emergence or intensification of social inequality, and the dynamics of land-use and environmental change in Thailand and Cambodia. Southworth feels her major contributions are at the landscape level of analysis and cross-scale issues of land changes within a theoretical framework of resiliency, drivers of change and their spatial analysis and economic development and land-use/land-cover change around large protected areas.